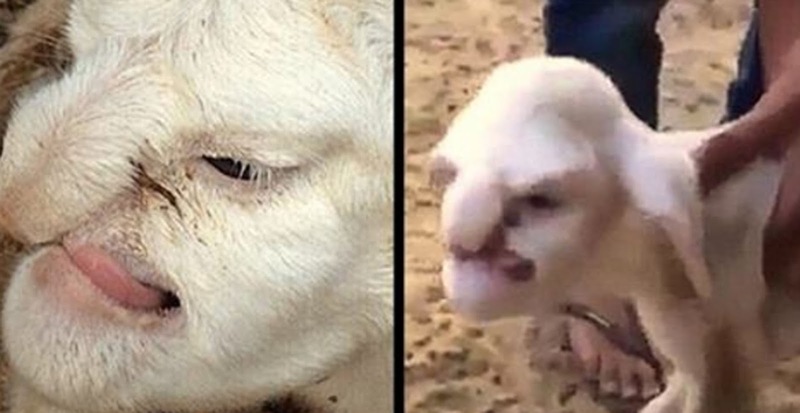 Russian Farmers Were Shocked When They Found This Strange Animal Inside Their Barn! Apparently being born with a cleft palate isn’t restricted to just humans, and a few Russian farmers discovered it the hard way. While they were attempting to tend for their herd of sheep, they noticed a very strange looking creature sitting among them. It was actually a sheep born without a certain bone at the top of it’s mouth. You really can’t help but feel bad for it when you hear it’s sad attempt at a baaing noise. What’s really strange, especially for the animal kingdom, is that the mother still loves and nurtures it even though it’s deformed. What a truly heartwarming story to brighten up your day!